Click on the album title above to head straight to the review. This young quartet from counties Antrim and Derry certainly lives up to its name (beoga is Irish for ‘lively’) and offers the unusual line-up of two button accordionists (one who plays guitars too), keyboards and bodhrán, augmented by instruments as varied as fiddle, saxophone and double bass, as well as a string quartet. Those instrumental components should rightly suggest that A Lovely Madness is an eclectic affair. Its bedrock lies firmly within the Irish tradition, but Beoga’s own composers (the accordionists Seán Óg Graham and Damien McKee) are experimentalists at heart and keen to incorporate other genres’ nuances into their music or take a sideways glance at traditional tunes. Thus the Prelude Polkas set contrives to suggest another dance form altogether, the tango, while later including a New Orleans-style jazz workout. The later track Funk is effectively a modern jazz hornpipe (crying out for Mary Coughlan’s vocals!) and Amsterdam Blues sees a bluesy arrangement of the same tune-form, albeit with a somewhat cod-reggae backing in places. Changes of pace are supplied in the form of two self-composed airs, but, by the time of the album’s closing set, the title track, the quartet is back to its investigative ways and tricky rhythm changes. Both Liam Graham (keyboards) and Eamon Murray (bodhrán) provide more than sturdy support throughout and, though not every musical juxtaposition is successful, A Lovely Madness leaves an abiding impression of four strong imaginations in operation. The largely Northern Irish quintet Beoga would appear to have taken up the mantle of the late Bobby Casey – composer of The Hairy-Chested Frog and Porthole of the Kelp – on third album The Incident, providing their own selection of oddly-titled tunes rooted in the Irish tradition such as Three Seats Magoo, The Flying Golf Club and The Pandoolin Dumpling. As on predecessors A Lovely Madness and Mischief, the core of Beoga’s largely modern céilí band style lies in the twin accordions of Damian McKee and Seán Óg Graham (who now also provides guitars, bouzouki, banjo and low whistle). Added to the brew (and hence the ‘largely’ above’) are the fiddles and viola of Limerick’s Niamh Dunne (daughter of one of Ireland’s finest uilleann pipers) who also provides well-tempered vocals on a diverse selection of songs, including Sister Rosetta Tharpe’s Strange Things, the countrified Mary Danced with Soldiers and a jaunty duet with guest Joe Echo on his own On the Way. 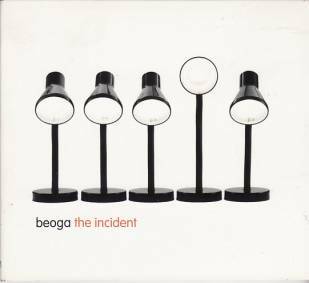 At times drifting towards the eccentric – almost like a trad Irish version of the Bonzo Dog Doo-Dah Band – Beoga still retain a sharp ear for the twist in a tune (with Liam Bradley’s keyboards and Eamon Murray’s bodhrán usually keeping their eyes on the road). Sometimes this fails gloriously – the cloying arrangement of The Bellevue Waltz seems to be awaiting the entrance of Celine Dion – and sometimes, as on the title-track set with swirling Hammond organ-style keys, it’s right on the button. These reviews by Geoff Wallis originally appeared in Songlines magazine – www.songlines.co.uk. 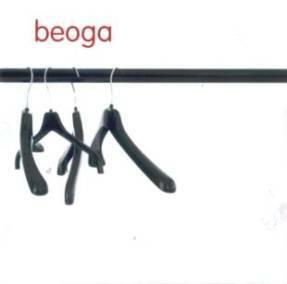 For more information about the band visit www.beogamusic.com.